After 46 attorney generals from states around the country filed claims against Johnson & Johnson regarding its DePuy hip implants, the embattled company agreed to a $120 million dollar settlement. Attorney General Letitia James of New York recently issued a statement announcing the consent judgment, which will resolve the allegations that Johnson & Johnson and its DePuy subsidiary engaged in unlawful marketing tactics to promote its Pinnacle Ultamet and ASR XL devices. These devices are metal-on-metal hip implants. In a statement released by AG James’ office, it had been alleged that DePuy “engaged in unfair and deceptive practices in its promotion” of the two hip implants in question “by making misleading claims as to the longevity” of those devices. 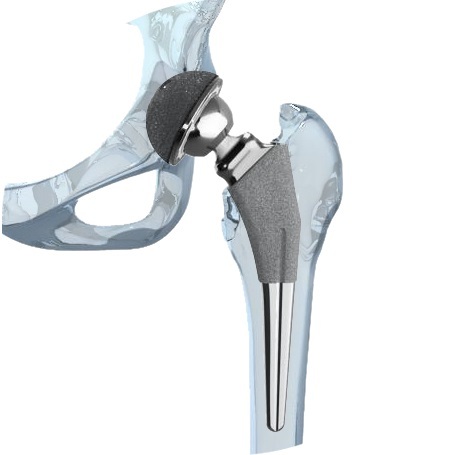 DePuy had advertised its ASR XL hip implant had a three-year survivorship of 99.2 percent. However, the National Joint Registry of England and Wales reported that there was a seven percent revision rate at the three-year mark. Likewise, the National Joint Registry of England and Wales reported that the Pinnacle Ultamet device had a 2.2 percent three-year revision rate in 2009, which increased to a 4.28 percent five-year revision rate in 2012. This stood in contrast to DePuy’s claims, which alleged that the Pinnacle Ultamet implant had a survivorship of 99.9 percent at five years. The discrepancies in survivorship rates are significant because metal-on-metal implants have come under fire in recent years over concerns that they fail prematurely, require revision surgery, and have caused a number of other health complications. Some patients have claimed they have developed metallosis, a type of heavy metal poisoning, allegedly caused when the metal components rub together as the patient moves. Johnson & Johnson and its DePuy subsidiary have faced thousands of product liability lawsuits regarding its metal-on-metal devices. At the height of the litigation, there were about 10,000 lawsuits pending regarding Pinnacle implants. In 2011, the U.S. Judicial Panel on Multidistrict Litigation (JPML) centralized the lawsuits into a multidistrict litigation (MDL) pending in the U.S. District Court for the Northern District of Texas before Judge Ed Kinkeade. Several of the lawsuits have resulted in substantial jury awards. In 2017, the defendants were ordered to pay $247 million to six plaintiffs. And in 2016, plaintiffs were handed a $500 million award in March and a $1 billion award in December. Those awards were subsequently reduced due to state limitations on damages. More recently, Johnson & Johnson agreed to an undisclosed settlement amount that resolved over 3,000 DePuy Pinnacle hip lawsuits. Regarding the $120 million settlement to resolve lawsuits brought by states, DePuy has also agreed to marketing and promotion reforms. The Consent Judgment requires DePuy to maintain a post-market surveillance program and complaint handling program, rely on scientific information and the most recent datasets from registries to make claims of survivorship, and maintain quality assurance programs. “Companies should never be allowed to freely mislead the public, especially when there are health concerns involved. This settlement serves as an important message that deceptive and false medical practices will never be tolerated,” said Attorney General Letitia James in her statement to the press.